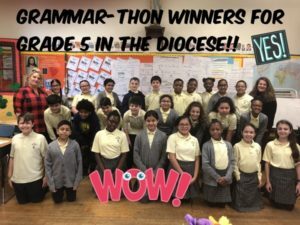 Greetings 5th Grade Families! 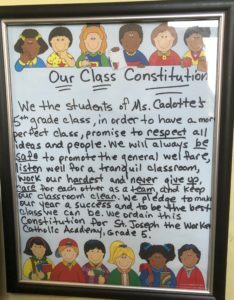 Welcome to our 2018-2019 School Year! 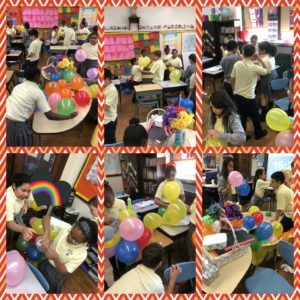 Ms. Cadotte’s 5th Grade and 8th Grade……..
It’s about time to activate learning! 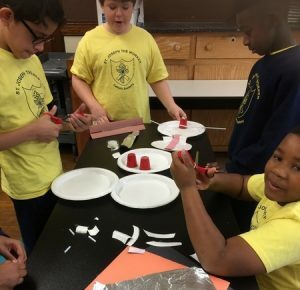 We have incorporated STEM into our classroom because it is a relevant, hands-on, & skills based experiential education. 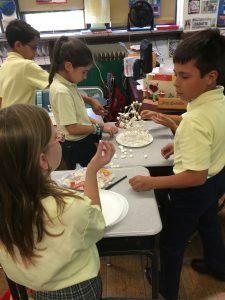 Reflection– To reflect on what is already present in the classroom such as differentiated lessons, activities, and classroom questioning techniques. 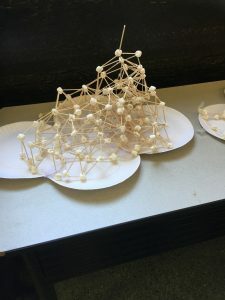 Modification– Modifying questioning to include words like design, model, and experiment because our classrooms are rich with opportunities to investigate and explore. 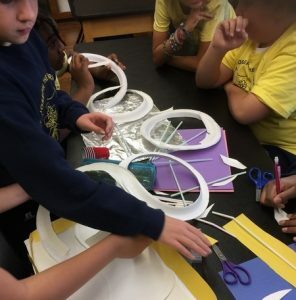 Engagement– To ensure students will be engaged in and that has a problem for them to solve. 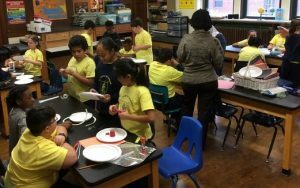 An inquiry-driven lesson that sparks student curiosity is one that will provide the best learning opportunity. 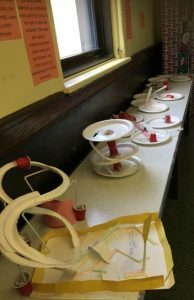 Collaboration– Teachers working together and sharing ideas through online resources to expand creativity even more through the latest examples and ideas. 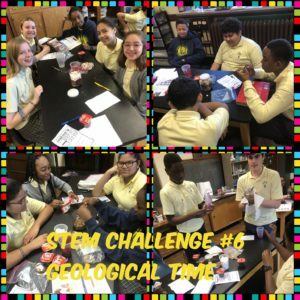 8th Graders were asked to create an edible geologic column. 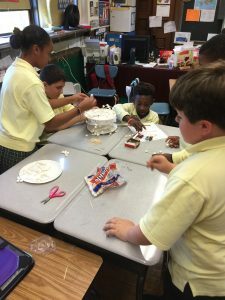 They “cooked” each layer one at a time. 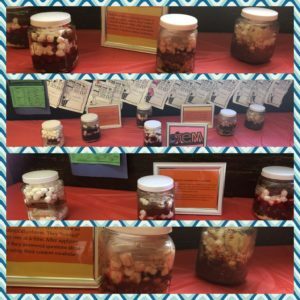 During each layer placed, students were able to describe the natural processes taking place. 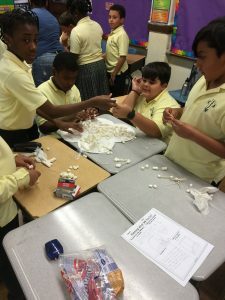 They described the dissolved minerals such as quartz and calcite separate from water that passed through the sediment forming a natural cement that holds the rock and mineral fragments together. 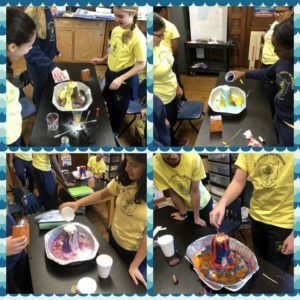 Students were able to explain the Law of Superposition and the 5 ways a rock layer can be disturbed. 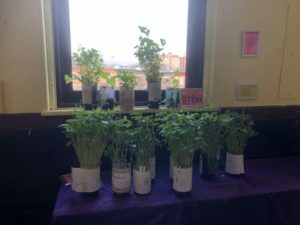 Here is their Relative Dating! 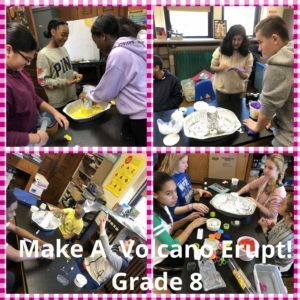 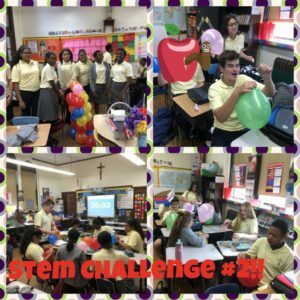 Grade 8 Volcano Creation and Eruption-STEM Challenge #5. 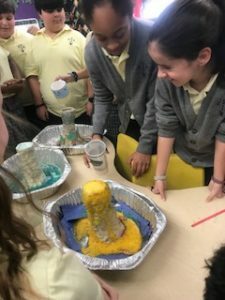 Students constructed a volcano and planned their design for the best eruption using the materials provided to them. 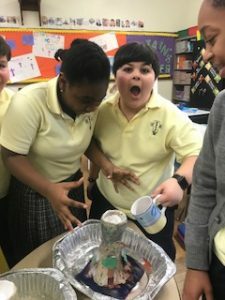 Students were familiarized with the processes involved in volcanic eruptions and how these eruptions form volcanic cones. 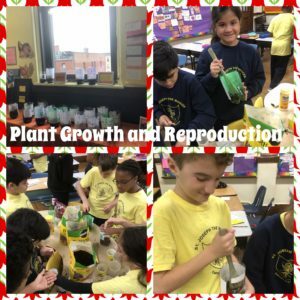 Grade 5 Students were asked to conduct an experiment based on their prior knowledge and current knowledge on plant growth and reproduction. 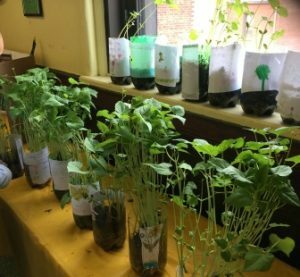 This experiment is based on seedling germination and plant growth. 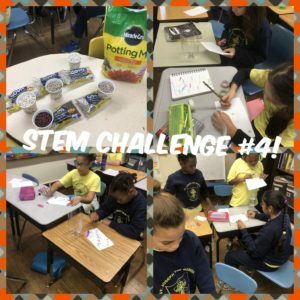 Students came up with their own variables to test and then conduct their experiment using the materials given. 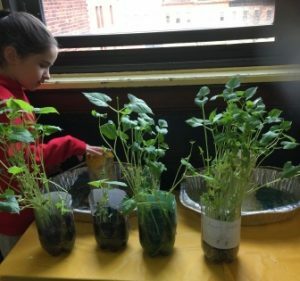 We can’t wait to see our project grow! 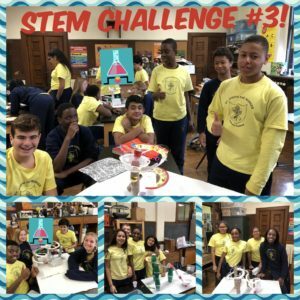 8th Grade STEM Challenge. 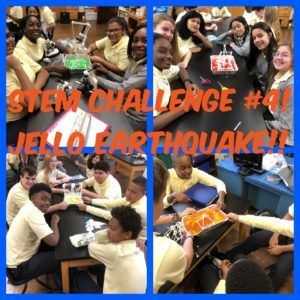 Jello Earthquake! 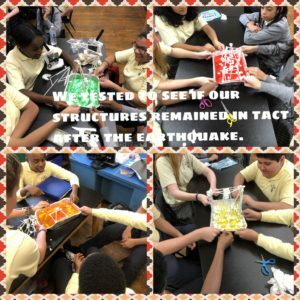 Earthquake withstanding structures have greatly improved since 1906, when an earthquake and the fires it produced, destroyed much of San Francisco. 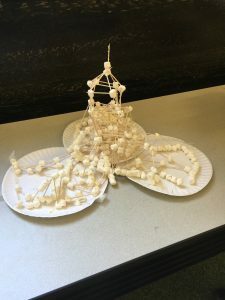 In this challenge, students worked in groups using marshmallows and straws to build a structure that would withstand a simulated earthquake. 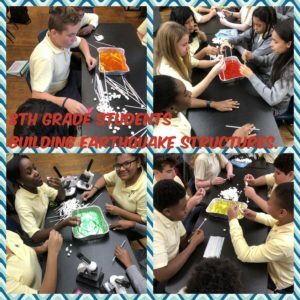 Students acted as structural engineering teams to design the most stable structure. 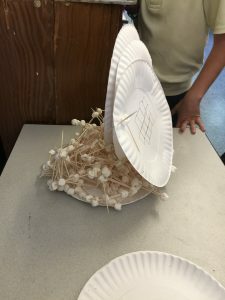 Students tested their structures and were also given an opportunity to re-design their structure in the time allotted. 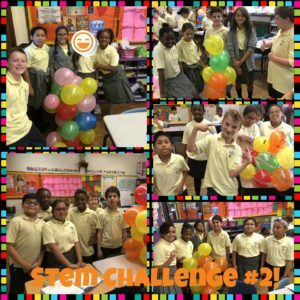 They did a fabulous job!!! 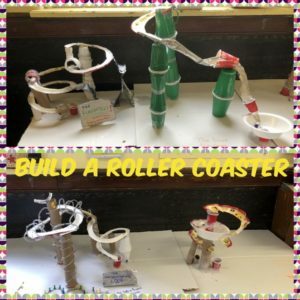 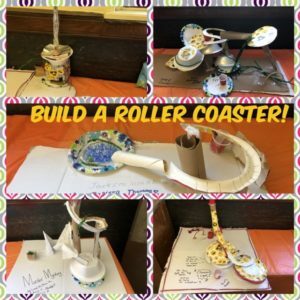 8th Grade rocked the build a roller coaster STEM Challenge! 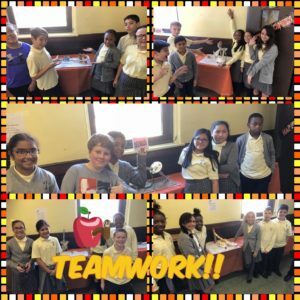 5th Grade demonstrates pure teamwork!! 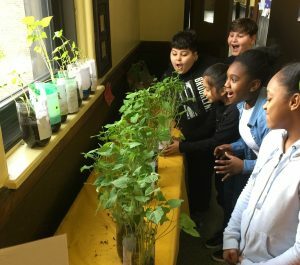 Grade 5 STEM Fun: Building Ecosystems. 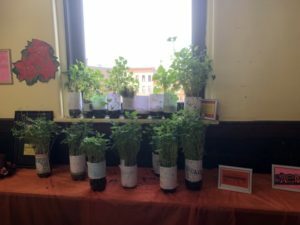 Look how they have grown! 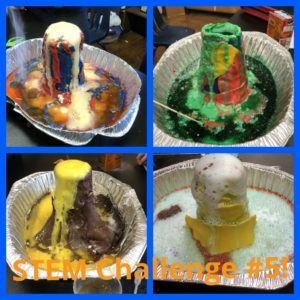 STEM Challenge: Build a volcano and make it erupt! 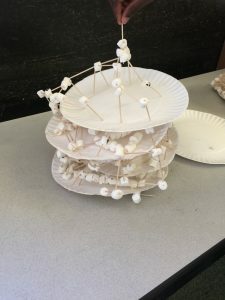 Grade 5 STEM Challenge: Build a sturdy and tall structure using a certain amount marshmallows, plates, and toothpicks!